Dogs are den animals. Have you ever notice your dog always sleeps and relaxes under a table or in a corner. The Paws & Pals Pet Cage is the perfect solution to make your pet feel more secure and confident. After they are acclimatized to the cage, they can treat it as their own hangout place. Plus, the cage is easy for you? as well. It's collapsible for storage and lightweight for easy transport. It's made of steel for durability and ease of maintenance. 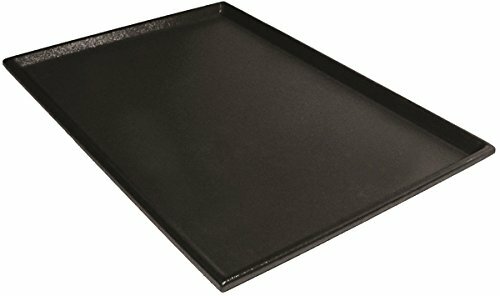 Precision Pet “ProValu” and “Great Crate” Replacement Pan: Slide out plastic pan designed to fit Precision Pet Great Crate and Two-Door ProValu crates. A generous lip prevents food, water, and whatnot from spilling over the edges. The slide out design makes cleanups easier for new puppy owners. Composed of flexible, durable, polypropylene material that is made to last. A non-porous surface repels food, waste, and liquid. Designed to fit 4000 36-Inch crates. Size: 35”(Length) x 22”(Width) x 1”(Height). 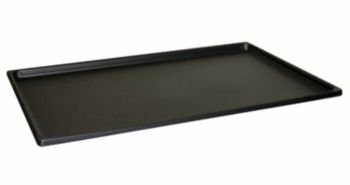 Precision Pet “ProValu” and “Great Crate” Replacement Pan: Slide out plastic pan designed to fit Precision Pet Great Crate and Two-Door ProValu crates. A generous lip prevents food, water, and whatnot from spilling over the edges. The slide out design makes cleanups easier for new puppy owners. Composed of flexible, durable, polypropylene material that is made to last. A non-porous surface repels food, waste and liquid. Designed to fit 1000 19-Inch crates. Size: 16.5”(Length) x 11.75”(Width) x 1.5”(Height). 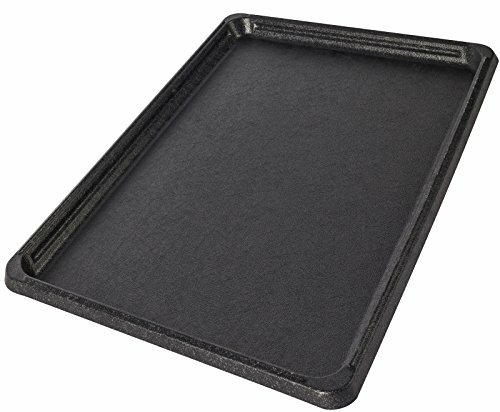 Precision Pet “ProValu” and “Great Crate” Replacement Pan: Slide out plastic pan designed to fit Precision Pet Great Crate and Two-Door ProValu crates. A generous lip prevents food, water, and whatnot from spilling over the edges. The slide out design makes cleanups easier for new puppy owners. Composed of flexible, durable, polypropylene material that is made to last. A non-porous surface repels food, waste and liquid. Designed to fit 2000 24-Inch crates. Size: 23.375”(Length) x 16.875”(Width) x 1”(Height). 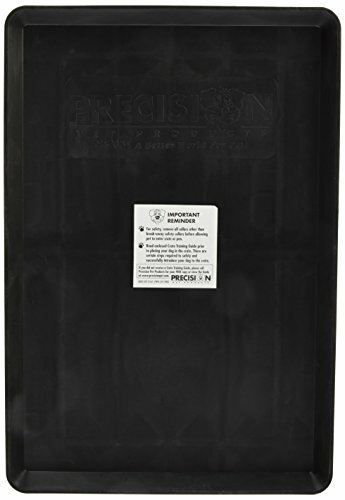 Precision Pet “ProValu” and “Great Crate” Replacement Pan: Slide out plastic pan designed to fit Precision Pet Great Crate and Two-Door ProValu crates. A generous lip prevents food, water, and whatnot from spilling over the edges. The slide out design makes cleanups easier for new puppy owners. Composed of flexible, durable, polypropylene material that is made to last. A non-porous surface repels food, waste and liquid. Designed to fit 6000 48-Inch crates. Size: 47”(Length) x 29.375”(Width) x 1.125”(Height). 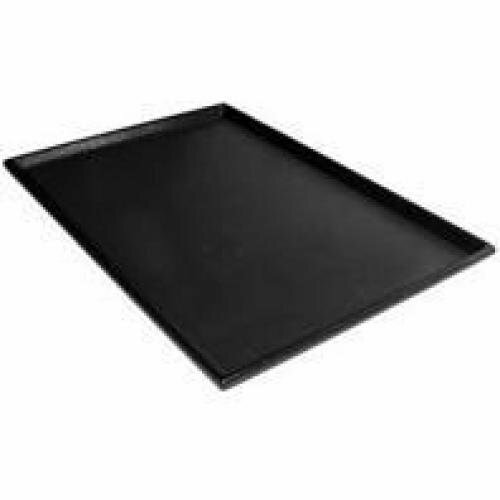 Precision Pet 7031196 6000 Care Crate Pan, 48"
Precision Pet Black Plastic Liner Pan Replacement allows you to replace a damaged pan or have an extra one on hand for cleaning time. 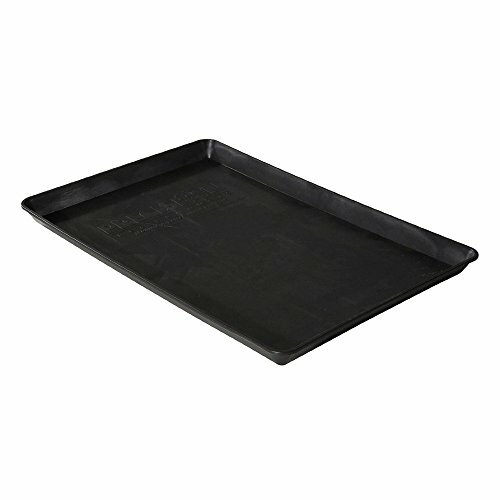 Replacement plastic pan for Great Crate & Suitcase Crate Allows you to replace a damaged pan Provides an extra pan for cleaning time. 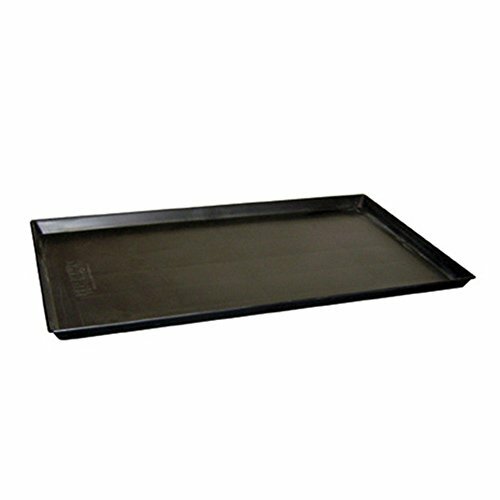 Precision Pet “ProValu” and “Great Crate” Replacement Pan: Slide out plastic pan designed to fit Precision Pet Great Crate and Two-Door ProValu crates. A generous lip prevents food, water, and whatnot from spilling over the edges. The slide out design makes cleanups easier for new puppy owners. Composed of flexible, durable, polypropylene material that is made to last. A non-porous surface repels food, waste and liquid. Designed to fit 5000 42-Inch crates. Size: 41.5”(Length) x 27.25”(Width) x 1”(Height). 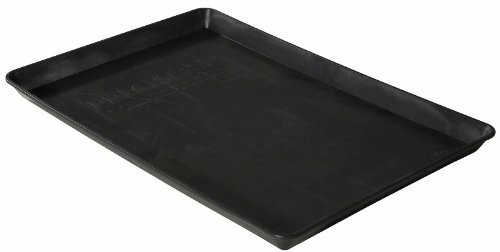 Copyright © Wholesalion.com 2019 - The Best Prices On Replacement Crate Pan Online.